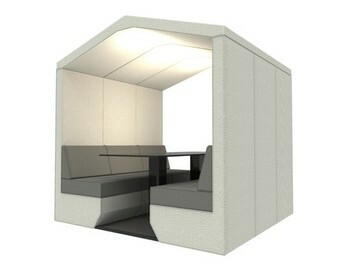 'Train carriages' and pods and huts are featuring provide a form of shelter and can be used for meetings and for working in teams or individually. 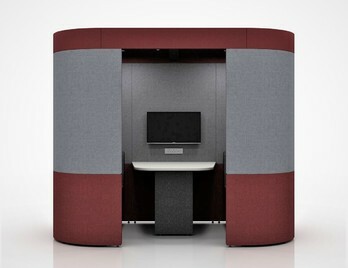 We have seen a significant rise in companies and organisations wanting to introduce these types of pods in their offices as they offer the necessary support in terms of space, acoustics and conferencing. When you have these types of systems at your work and the opportunity to meet in a unique space, it inevitably helps you to be more efficient, and more satisfied with your job, and that's a real boost to wellbeing. 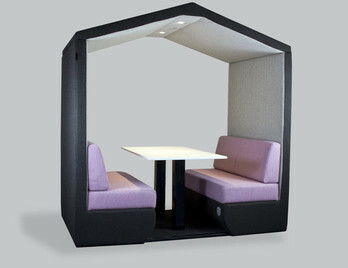 High stress levels are evident in today's workplace as we communicate and collaborate constantly. It's sometimes hard to unplug and break away from this practice. There are times, however, when you need a place free of distractions to focus on a task, have a quiet conversation or some personal downtime. 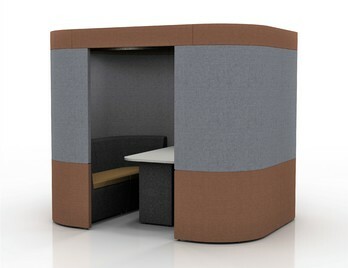 A change of scenery such as a meeting pod or booth, within the office landscape, is beneficial allowing people to zone in, or zone out either independently or as a group. People perform best when they can determine where and how they work allowing flexibility and peace of mind knowing that environmental options are available. Having these systems in place allows the wellbeing culture to develop and improves the wellbeing of the company by encouraging engagement and entrepreneurial effort. 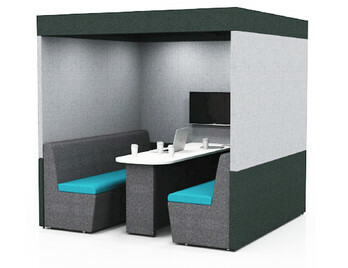 The American office furniture company Steelcase generated a study and report on wellbeing and 'best place' strategy, which generally included systems which support various postures, from sit-stand desks, and suitable areas to collaborate, meet and share ideas. At the company's global headquarters at the Grand Rapids, Michigan, two floors on the east half of the building are completely redesigned to deliver workspaces which nurture workplace wellbeing. The study and working practice maintained an underpinning theory that the best place for work offers a palette of place, posture, and presence. 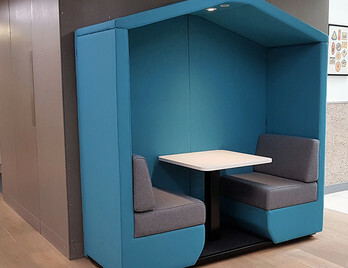 Steelcase identified that spaces should be adapted to more than one purpose, for example, a bench desking system which supports the individuals' work can also be used as a meeting or impromptu collaboration space. 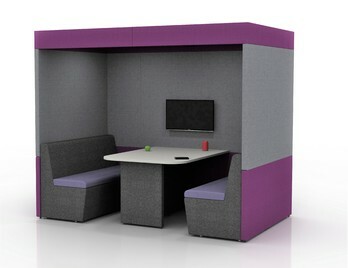 This improves the workings of an office and makes furniture systems more valuable, whilst ensuring workers have the best place to work at any time. 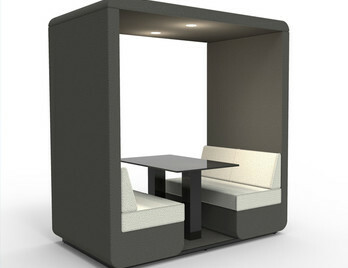 Meeting pods allow for this type of working as they simply offer an inviting quiet place to work individually or as a group to collaborate. The third element Presence identifies the need for supporting the different ways people communicate and share information, such as audio and video conferencing. 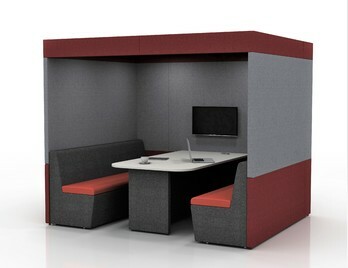 Within the Steelcase offices, there are sufficient places to highlight this and there are several media:scape collaborating settings which make the sharing of information easy. 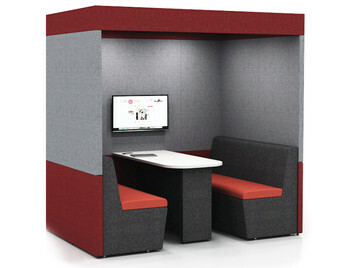 Hoffman a representative of Steelcase states 'Simplifying technology and making it easy for people to get together and share information makes work more efficient. People are less stressed, more comfortable and in control'. We are therefore seeing another factor at play when it comes to wellbeing. There are ways to improve physical wellbeing at work such as attention to ergonomic chairs and posture, on a physical level. 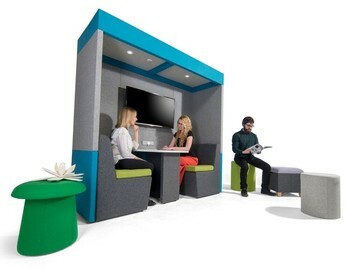 However, there should also be environmental factors which allow workers to be supported whilst working, presenting and collaborating as this will improve their emotional wellbeing.